Yes, I got it in black! 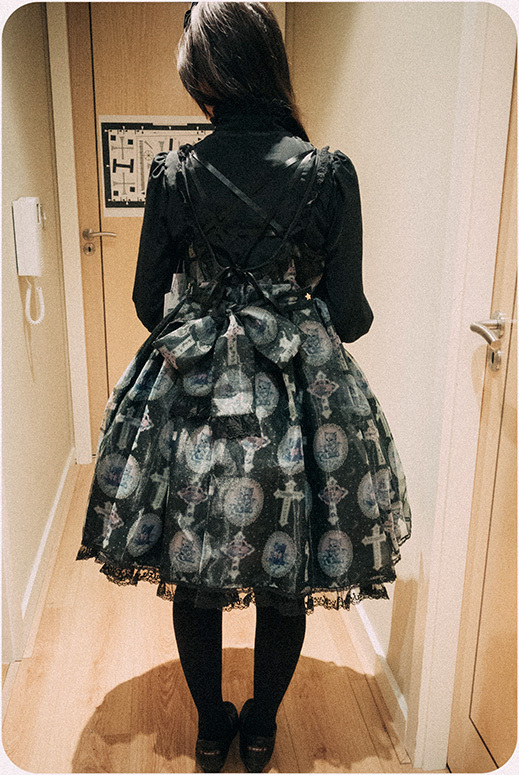 Sorry – the pictures are just a lazily thrown together coord. I just wanted to show you how it looks worn! Which isn’t being shown that well since I’m wearing a black blouse, haha. I think the dress looks a lot more beautiful in person. But since it seemed popular, I bought it anyways since I can sell the dress if I change my mind! Now that I’ve tried it on, I think it looks really good on me! But I’m actually not completely convinced about the dress. I think my tastes aren’t completely aligned with what I actually look good wearing. I’m sure you’re aware I’m deeply in love with chocolate/food themed dresses, but I don’t think brown suits me as well. More first world problems, hahaha. 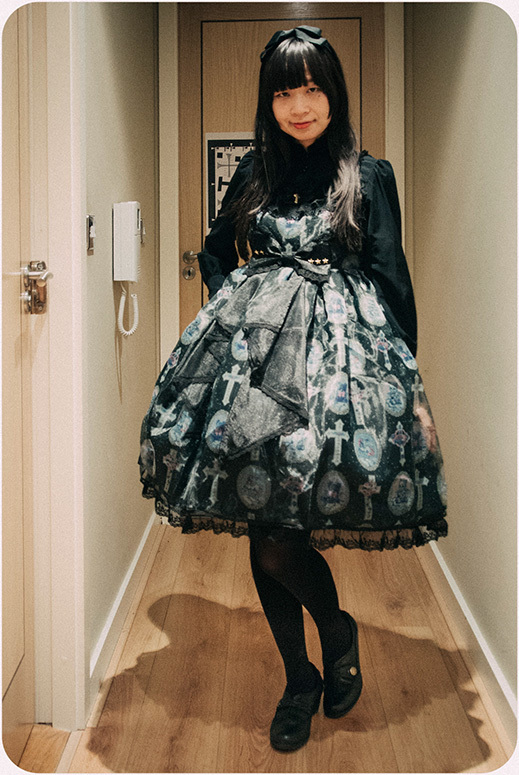 This entry was posted in news and tagged angelic pretty, haul, japanese fashion, shopping. Post a comment or leave a trackback: Trackback URL. I really like the dress. Between, have you tried using White Rabbit Express forwarding service? Hi Strawberry! Thanks for the comment! I tried White Rabbit Express and I recommend them.. Their customer service is very nice. Also Tenso recently raised their prices! Wow!! 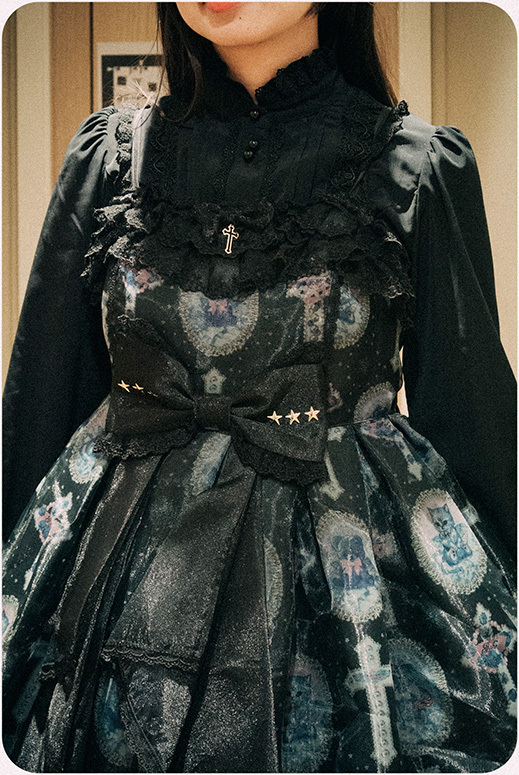 I actually haven’t seen a black Angelic Pretty dress before!! It looks really nice!! Yes!! It’s a really nice dress. The back especially is to die for, hahaha.